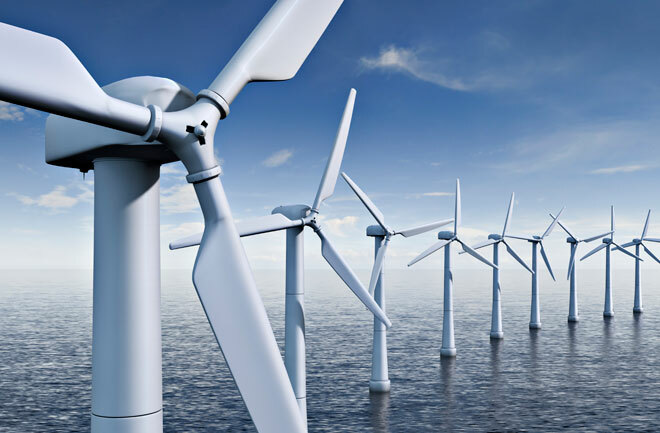 The Lake Turkana wind power project involves the development and construction of a 300 MW wind farm. 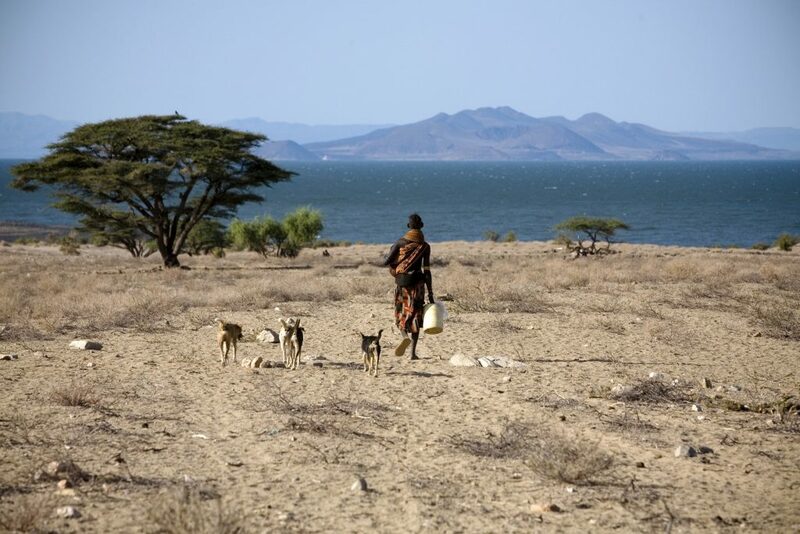 The project is located at a remote location at Loiyangalani District, Marsabit County, Kenya. It is sited 600km from Nairobi, and takes 12 hours to drive to. The project area covers a valley between Mt Kulal and Mt. Nyiro that effectively acts as a funnel in which the wind streams are accelerated to high speeds. The highly efficient operation and flexible configuration of the V52 make this turbine an excellent choice for all kinds of wind conditions. The wind turbine V 52 is a production of Vestas Wind Systems A/S, a manufacturer from Denmark. 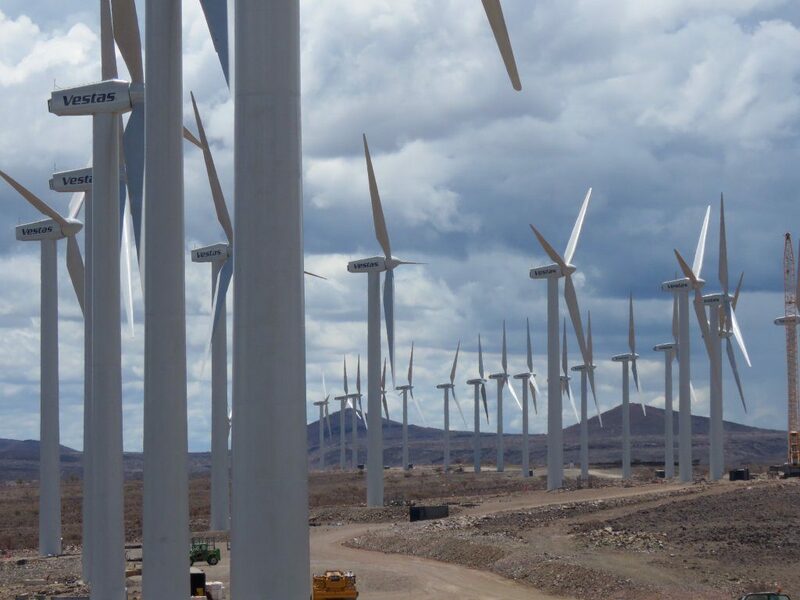 The Project comprises of 365 wind turbines, each with a capacity of 850kW, and a high voltage substation that will be connected to the Kenyan national grid through an associated Transmission Line. Once operational, the wind farm will provide 310MW of reliable, low cost energy to Kenya’s national grid. The total project cost is estimated at USD 680 million and includes the cost of the envisaged 400 km transmission line from Lake Turkana to the Susua sub-station near Nairobi, as well as the cost of upgrading 200 km of roads. The Lake Turkana Wind Power Project represents the largest wind farm project in Africa. It represents a large scale demonstration of clean energy technology . Vestas Wind Systems is a Danish manufacturer, seller, installer, and servicer of wind turbines. It was founded in 1945, and as of 2013, it is the largest wind turbine company in the world. The company operates manufacturing plants in Denmark, Germany, India, Italy, Romania, the United Kingdom, Spain, Sweden, Norway, Australia, China, and the United States, and employs more than 21,000 people globally. 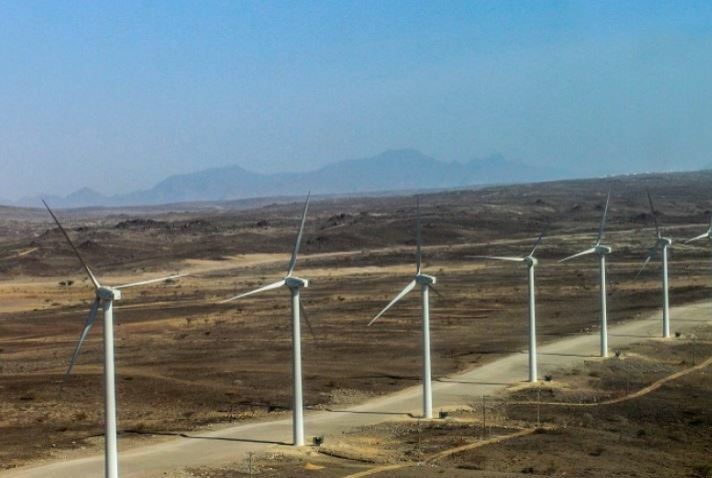 Lake Turkana Wind Power contracted Vestas to set up and install the turbines four years ago. 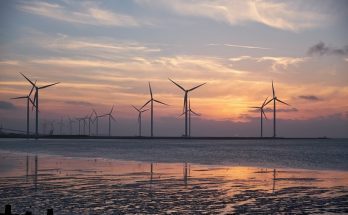 Denmark’s Vestas Wind Systems, the world’s biggest wind turbine maker, is supplying the turbines. The turbines are transported for more than 1,000km from the Port of Mombasa to Sarima. 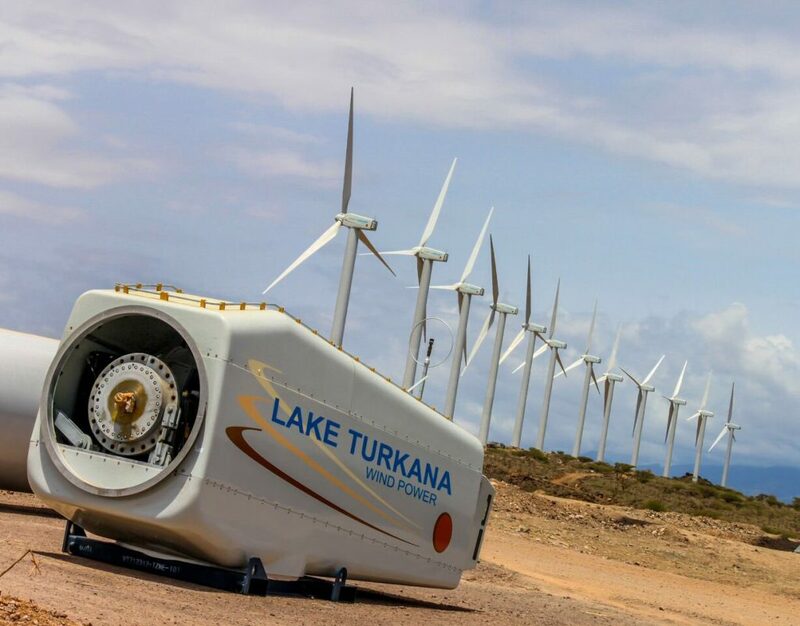 Wind power generated at the Lake Turkana Wind Power plant will be fed into national grid at Suswa. DNV GL demonstrated its commitment to modernising and developing power in Africa by advising on the construction of a 420 kV overhead transmission line and substations. The 426 km alternating current (AC) line runs from the national grid at Suswa (80km Northwest of Nairobi) to Loiyangalani (Southeast of Lake Turkana). 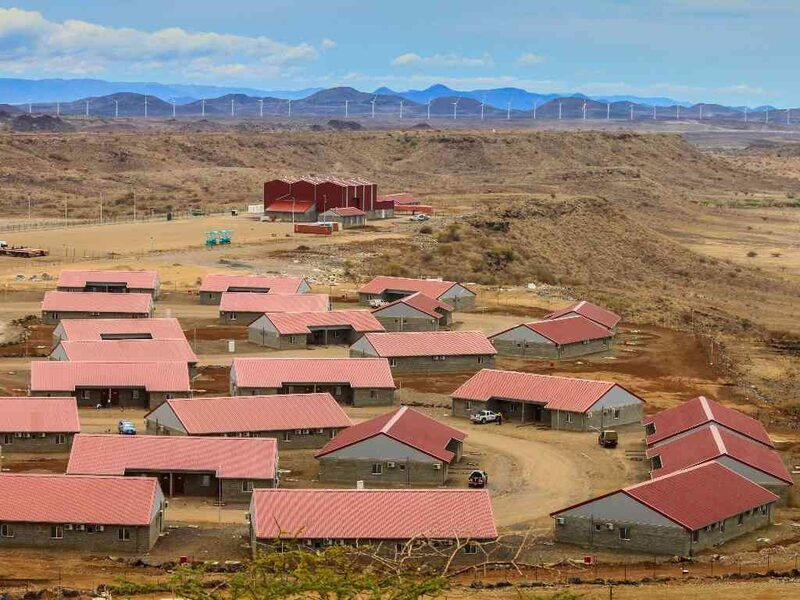 SECO’s contribution to the project is the village & workshop – the housing units & facilities to house the workforce behind Lake Turkana Wind power. 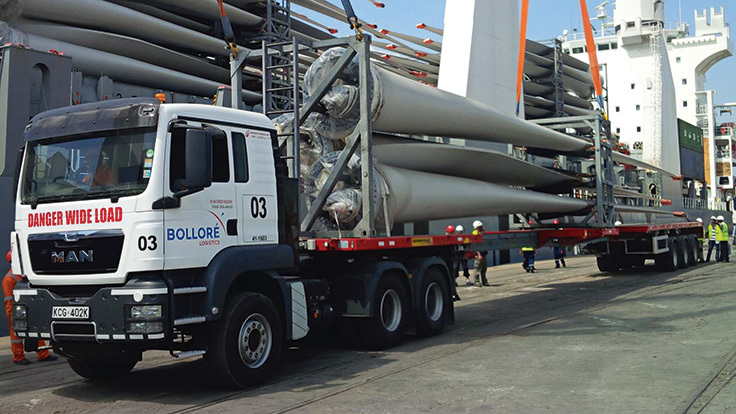 In August 2015, Bolloré Logistics in Africa was awarded a contract to provide project logistics services for the Lake Turkana Wind Power Plant. In its work on the Lake Turkana Wind Power Project (LTWP) in Kenya, Mr. Gravière says Bolloré Logistics oversees transportation of 365 windmills from Mombasa to the project site 1,200 km. They are subsequently transported as road freight, frequently to the remote site. In doing so, trucks must navigate inhospitable roads and inhabited areas where – when necessary – infrastructure is temporarily modified to allow passage. Bolloré Transport & Logistics delivered 365 Wind Turbine Generators at the Lake Turkana Wind Power Project. Since inception Lake Turkana Wind Power (LTWP) has been keen on ensuring that the community benefits from the project. As part of this commitment LTWP established Winds of Change Foundation (WoC). LTWP has committed to invest a portion of its operating revenues to WoC to improve the livelihoods of the communities in the Project area. The expansive but sparsely populated project area, coupled with years of under-investment in the sector has resulted in limited access to health services by the local communities. Winds of Change support to health focuses on enhancing access to health services by upgrading physical infrastructure and, during operation of the windfarm, partnering with stakeholders to support targeted outreach programs. Winds of Change is also engaged in supporting local communities through miscellaneous activities, such as the construction of community storage facilities in Illaut and Sarima, and by enhancing inter-community relations through sports. In this regard, LTWP / WoC host an annual 10km race on the wind farm site and support local youth and school sports tournaments. This is a clear demonstration that Lake Turkana Wind Power Project are on course to launching the largest wind farm in Africa.